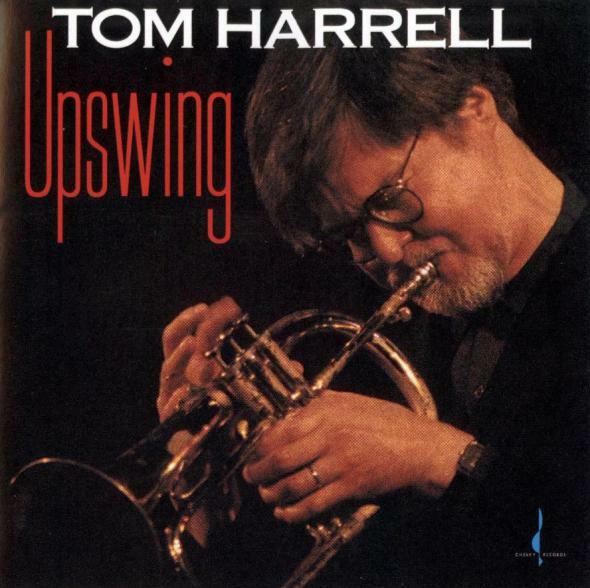 The first release of Train Shuffle, by Tom Harrell, was in 1994 on Upswing. 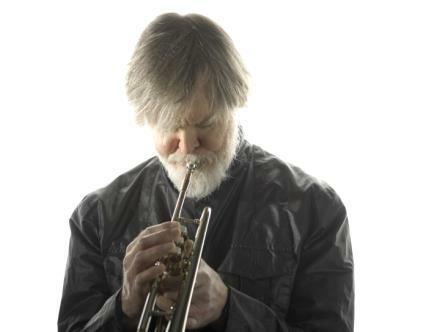 One of modern music’s most acclaimed trumpeters, Tom Harrell has made the most out of his major label status. His two previous efforts for RCA, Labyrinth and The Art of Rhythm, brought the 53-year-old a good deal of critical attention and the major distribution network possible to reach a greater audience. However, as heavily lauded as he remains for his trumpet work, many are still asleep on his accomplished undertakings as a writer and arranger. This is due to change in a New York minute with the release of Time’s Mirror, the trumpeter’s new project for BMG and one that finds him fronting a large ensemble filled with the cream of the crop of today’s contemporary players. A challenging new assignment, this marks the first time Harrell has put on tape what amounts to a big band session. He’s provided all the charts and a number of original compositions, many of them going back as far as the ’60s, and through these moments one gets a more tangible picture of Harrell’s influences and predilections. For instance, the newly-composed “Daily News” sports a jagged melody line redolent of Eddie Harris’ “Freedom Jazz Dance.” Both the opening “Shapes” and the title track suggest a shrewd awareness of the music of fellow trumpeter Kenny Wheeler, with their resonant and full brass scoring and a yearning sentiment of melancholia. Yet these are mere reference points and ultimately Harrell’s writing, particularly on the infectious “Train Shuffle,” takes on a life of its own. As strong as the writing is, solo work from Harrell and the others is of a high caliber, girded ever so tastefully by the trumpeter’s poetic use of supporting lines. In fact, the liners mention Harrell’s gratitude to bassist Sam Jones, with whom he led a big band in the late ’70s, in terms of integrating solos and the written backgrounds. Harrell’s regular pianist, Xavier Davis, Don Braden, and Conrad Herwig are standouts in terms of their solo spots and this tight ensemble, some 17 strong, manages to nail Harrell’s charts with a precision that belies their relative difficulty. 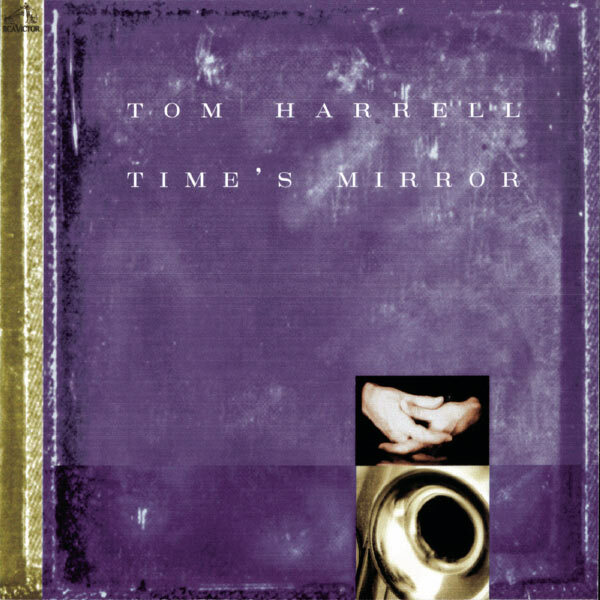 Benefiting from the healthy gestation period that many of these tunes went through, Time’s Mirror is a fine illustration of where Harrell is at currently in terms of his writing and trumpet playing. It’s his most complete recorded statement yet to appear and hopefully it’s a harbinger of more like-minded projects to come. 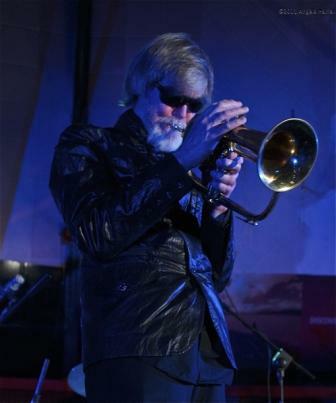 Tom Harrell was born in Urbana, Illinois but moved to the San Francisco Bay Area at the age of five. He started playing trumpet at eight and within five years, started playing gigs with local bands. In 1969 he graduated from Stanford University with a music composition degree and joined Stan Kenton’s orchestra, touring and recording with them throughout 1969. After leaving Kenton, Harrell played with Woody Herman’s big band (1970–1971), Azteca (1972), the Horace Silver Quintet (1973–1977) with whom he made five albums, the Sam Jones-Tom Harrell Big Band, the Lee Konitz Nonet (1979–1981), George Russell, and the Mel Lewis Orchestra (1981). From 1983-1989 he was a pivotal member of the Phil Woods Quintet and made seven albums with the group. In addition, he recorded albums with Bill Evans, Dizzy Gillespie, Ronnie Cuber, Bob Brookmeyer, Lionel Hampton, Bob Berg, Bobby Shew, Ivan Paduart, Joe Lovano, Charlie Haden‘s Liberation Orchestra, Art Farmer, Charles McPherson, Kathleen Battle among others. Since 1989 Harrell has led his own groups, usually quintets but occasionally expanded ensembles such as chamber orchestra with strings and big bands. He has appeared at virtually every major jazz club and festival venues, and recorded under his own name for such record labels as RCA, Contemporary Records, Pinnacle, Blackhawk, Criss Cross, SteepleChase, Chesky, and HighNote Records. He received a Grammy nomination for his big band album, Time’s Mirror. Harrell is a prolific arranger and composer. He has arranged for Vince Guaraldi’s work on Peanuts, Carlos Santana, Arturo O’Farrill’s Latin Jazz Orchestra, Metropole Orchestra, Danish Radio Big Band, Vanguard Jazz Orchestra, and Elisabeth Kontomanou with the Orchestre National de Lorraine, among others. His compositions have been recorded by other notable jazz artists including Ron Carter, Joe Lovano, Kenny Barron, Art Farmer, Chris Potter, Tom Scott, Steve Kuhn, Kenny Werner and Hank Jones. 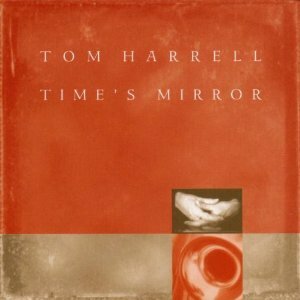 In contrast to his signature recordings during the RCA Records/BMG years (1996–2003) where much of his focus was on projects involving large ensembles, big bands and chamber orchestras, Harrell’s more recent works demonstrate his skills as a leader of a tight, smaller unit. Harrell has made four albums with the current quintet of six years, which comprises tenor saxophonist Wayne Escoffery, pianist Danny Grissett, bassist Ugonna Okegwo (whom Harrell has employed consistently since 1997), and drummer Johnathan Blake. The group is noted for its strong chemistry between the musicians and the distinctive sound achieved primarily through Harrell’s compositions that combine memorable and accessible melodies with complex but groove-based rhythms and sophisticated harmonic textures. Harrell’s current quintet differs from previous editions of quintets he has formed and worked with, in the use of Fender Rhodes and acoustic piano. Harrell’s 2010 recording, Roman Nights, received his fourth SESAC Jazz Award. In May 2011, the group’s latest album, The Time of the Sun, will be released from Highnote Records. Despite his well-documented schizophrenia, Harrell has successfully coped with the illness through medication and has become an influential figure as a jazz trumpeter and composer. He has been recorded on over 260 albums (according to the discography on his website) and continues to actively compose, record and tour extensively around the world. Harrell has won numerous awards and grants, including multiple Trumpeter of the Year awards from Down Beat magazine, SESAC Jazz Award, BMI (Broadcast Music Incorporated) Composers Award, and Prix Oscar du Jazz. Harrell’s work as composer and jazz soloist has been published in a number of books by Hal Leonard, Jamey Aebersold, Sher Music, and Gerard and Sarzin. Harrell is currently represented by Addeo Music International (AMI). Following the success of his first three albums with the current members of his quintet – a remarkably cohesive unit that includes tenor saxophonist Wayne Escoffery, pianist Danny Grissett, drummer Johnathan Blake, and his bassist of 12 years, Ugonna Okegwo -Harrell is set to release his next quintet offering, THE TIME OF THE SUN, on May 31st. Harrell’s music with one another is evident from each member of the quintet. The writing on these recordings is no less of an achievement than his work for the orchestra or the big band. The trumpeter-composer deftly weaves complex harmonies together with daring energy and rapport of Art Blakey’s and Horace Silver’s bands. The sheer joy of playing Harrell’s music with one another is evident from each member of the quintet. The writing on these recordings is no less of an achievement than his work for the orchestra or the big band. The trumpeter-composer deftly weaves complex harmonies together with daring rhythmic concepts and unforgettable melodies while utilizing the available colors to full effect. Harrell’s music is at once intelligent, soulful, fresh and accessible. Harrell divides his time between writing projects, live performances, and recordings, and actively tours with his quintet around the world. Recent television broadcasts of concerts include: San Javier Jazz Festival inSpain; Viersen Jazz Festival inGermany; Red Sea Jazz Festival inIsrael; Jazz aLiegeinBelgium; and Chivas Jazz Festival inBrazil. Harrell was featured as the Artist in Residence at the Barga Jazz Festival (August 2009) and Vicenza Jazz Festival (May 2009). At the latter festival he performed duo, quintet and big band concerts over several days. Harrell also performed music from his WISE CHILDREN andPARADISEalbums with the Duisburg Philharmonic Orchestra at Traumzeit Festival (July 2009) and with the Yakima Symphony Orchestra at the Seasons Music Festival (October 2010). In the spring of this year, Harrell reunited with the Jazz Orchestra of the Concertgebouw as guest soloist and arranger for a tour in theNetherlands, after their successful collaboration at the Concertgebouw in July of 2009. New Yorkas part of the Blue Note Jazz Festival, where he will present his own arrangements of the works of Debussy and Ravel. 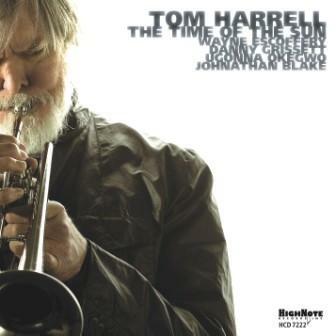 Harrell will also be touring extensively in July and August with his quintet, in support of his forthcoming album, THE TIME OF THE SUN. A graduate ofStanfordUniversitywith a degree in music composition, Harrell is a prolific composer and arranger. Carlos Santana, Cold Blood, Azteca, Vince Guaraldi, Hank Jones, Kenny Barron, the Vanguard Jazz Orchestra, Danish Radio Big Band, WDR Big Band, Brussels Jazz Orchestra, Metropole Orchestra and Arturo O’Farrill & the AfroLatin Jazz Orchestra are among the many who have recorded or performed his work. Harrell’s composition and arrangement, “Humility,” was recorded for the latter’s 2008 release, which just won a Grammy for the Best Latin Jazz Album. Some of Harrell’s notable RCA/BMG recordings include WISE CHILDREN, a project in which he combines woodwinds, brass, horns, strings, guitars, percussion and the vocals of Cassandra Wilson, Dianne Reeves, Jane Monheit and Claudia Acuna with his quintet; PARADISE and THE ART OF RHYTHM, both of which feature chamber groups with strings; and his big band project, TIME’S MIRROR. In addition to the 26 albums and thousands of concerts worldwide as a leader, Harrell has worked with important figures in jazz history including Stan Kenton, Woody Herman, Dizzie Gillespie, Horace Silver, Bill Evans, Gerry Mulligan, Art Farmer, Phil Woods, Lee Konitz, Sam Jones (with whom he briefly co-led a big band in the 70s), Jim Hall, Charlie Haden and with contemporaries such as Joe Lovano and Charles McPherson.